The music industry is typically male dominated. However, there are two names that instantly come to mind when thinking about which females are dominating just as much: Beyonce and Rihanna. The two superstars come from different paths of life, have had varying career journeys, and have their own separate vast fanbases. Beyonce is from Houston, Texas, born and raised. She has made this very clear throughout her career. As many of her fans know, Beyonce started out in an all-female singing group, Destiny’s Child, where she was the lead singer. The group eventually went on to become one of the best-selling girl groups of all time. In 2003 Beyonce released her first solo album and since then she has only gotten better,winning 20 Grammy Awards in total. Rihanna reigns from the island of Bridgetown, Barbados. She was discovered in 2003 from recording demo tapes with record producer Evan Rogers. Rihanna ended up signing a contract with Def Jam after auditioning for Beyonce’s current spouse, Jay Z. Her first album debuted in 2005. After her first album, like Beyonce, the Barbados native had only continued success in the music industry. Rihanna has 11 singles that are ranked amongst the world’s best-selling singles of all time. It is safe to say that both women are extremely well established when it comes to music. 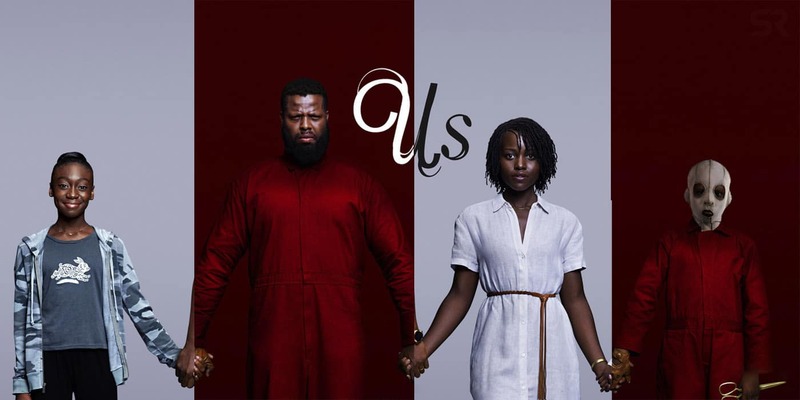 Time and time again they deliver eminent pieces of work that all kinds of people can listen to, relate to, and vibe to. 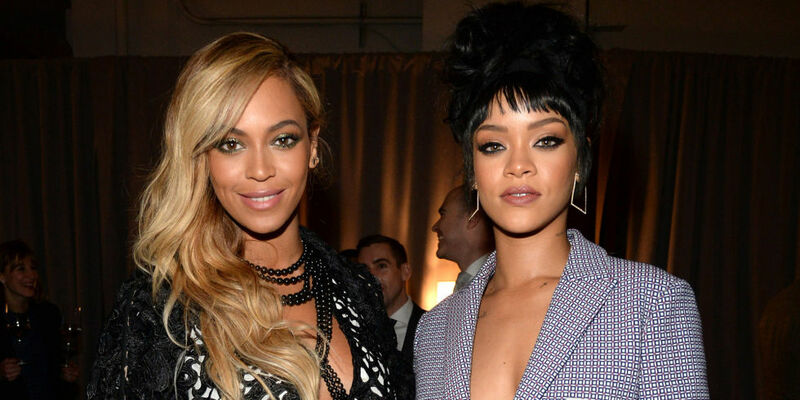 What makes Beyonce and Rihanna so special is their effect on females and the strong “girl power” ability they express throughout their work. Each of these ladies has released studio albums this year. Rihanna released her eighth body of work, “Anti,” in January. While Beyonce released the very critical but necessary “Lemonade” in April. 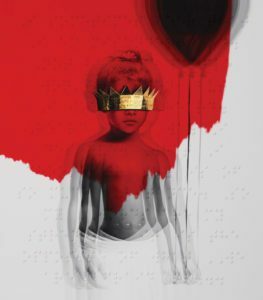 “Anti” gives us a glimpse into how it is not always a breeze being Rihanna. She has had a pretty public love life, in her earlier years at least, as well as being one of the most desired and sought after celebrities from males and females alike. Now that she is older, having just turned 28 this past February, she lets us into the carefree mindset that she has. Her social media handle is @badgalriri and like Jay Z once said: “Once a good girl gone bad, she gone forever.” Rihanna displays this bad girl image so well while still being an island sweetheart. Even after being dragged through the mud, Riri comes back swinging each time. Rihanna is so unworried about what everyone else is thinking that it makes her that more appealing and easy to follow; especially for females that can relate to the problems she has faced. Riri currently has 2 songs in the top 20: “Needed Me” and “Work,” which are both on Billboards Hot 100 list. The pop star’s album is ranked #6 on the Billboard 200 list. 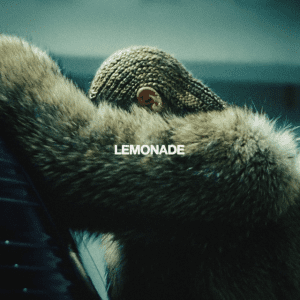 “Lemonade” is arguably Beyonce’s best album to date, for various reasons. The visual album was released in surprise fashion during a one-hour film that was aired on HBO during the end of April. One can say that the album is a miniature movie. From the music itself, to the visuals, images, videos, and other empowering females that were featured along with it. ‘Lemonade’ touches on relatable topics such as heartbreak, betrayal, infidelity, and all the anger and emotions that come with it. Beyonce is extremely raw with this piece of work and for someone that is referred to as a “Queen” it was amazing to see this side of her unleashed, especially since she used her platform and voice to bring light to the black lives matter movement and police brutality through the first single off of the album: “Formation.” Queen Bey also performed the song during this year’s Superbowl halftime, and it was a legendary performance that will be remembered for years to come. Bey has 2 songs on the Billboards Hot 100 list: “Sorry” and “Formation.” The album itself is sitting high on the rankings of the Billboard 200 list at #2. Both of these powerhouses are hitting the stage this summer for their respective world tours. 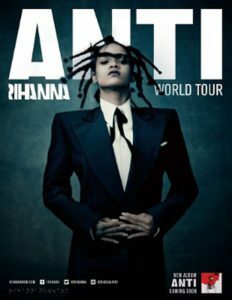 Rihanna recently finished the Northern American leg of the Anti World Tour back in May. She took a short hiatus before traveling to Europe to tour overseas this month for the rest of the summer. Meanwhile, Beyonce began touring Northern America in late April. 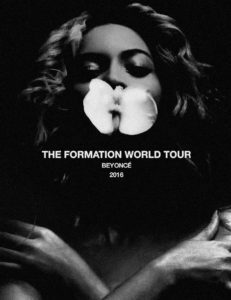 She will tour through 17 cities in Europe throughout the month of July before returning to the states to finish up the Formation World Tour in October. These superstars have been working hard their entire careers and will continue to do so this summer. 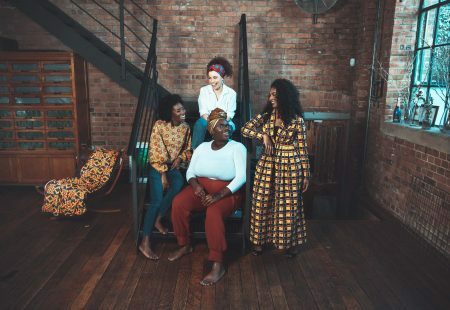 The best part of their work is the impact that it has on females everywhere, no matter where they may come from. There is not a Beyonce and/or Rihanna song that a woman cannot relate to or feel empowered and inspired by. These two Bronze beauties are entertainment icons that have steadily made major waves in a male dominated world. Salute.